Nebraska breaks our toplist for worst states for poker players. They have no casinos in the state that offer poker games, nor do they allow players to play privately in their own home, either in a social game or online. When you combine that knowledge with the likelihood that Nebraska will pass on legal intrastate poker, and I think it’s safe to say that the residents of the state have it rough. The future doesn’t look any better, either. Nebraska doesn't have a statute that calls out online gambling explicitly. However, if you look at their other gambling statutes you could assume that online poker or other types of internet gaming (for money) is illegal. Gambling device shall mean any device, machine, paraphernalia, writing, paper, instrument, article, or equipment that is used or usable for engaging in gambling, whether that activity consists of gambling between persons or gambling by a person involving the playing of a machine. Gambling device shall also include any mechanical gaming device, computer gaming device, electronic gaming device, or video gaming device which has the capability of awarding something of value, free games redeemable for something of value, instant-win tickets which also provide the possibility of participating in a subsequent drawing or event, or tickets or stubs redeemable for something of value, except as authorized in the furtherance of parimutuel wagering. This prohibits the use of your phone, tablet, laptop or computer for gambling. If caught, you face consequences of a Class II misdemeanor. 28-1107 Possession of a gambling device; penalty; exemption. (3) Possession of a gambling device is a Class II misdemeanor. Any form of unregulated gambling is illegal in Nebraska. Considering that there is no "social game" clause, that means home games are, too. Worse yet, for a game to be considered gambling in Nebraska, it only needs an "element of chance." Poker fits that bill, ergo any form of poker is illegal. The penalty for running or participating is a Class IV misdemeanor. Any person that bets less than $300 per day fits this bill. Do Casinos in Nebraska Offer Poker? No. None of the tribal casinos in Nebraska offer poker or any other table game. These games are considered to have too much "luck" or "chance" involved. Ironically, you can play video poker, bingo and slots. Apparently it's possible to become skilled at slots. We receive a lot of emails asking us questions about playing poker and / or gambling in Nebraska. We thought it'd be helpful to post those questions and our answers below. 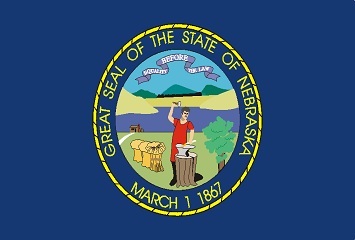 Will online poker be regulated in Nebraska? Given their current statutes? No. Regulation of poker sites is definitely an underdog in this race, and players are down to 1 or 2 outs at best. Your odds would improve by moving or visiting another state to play. Is there an online poker room that accepts players from Nebraska? Surprisingly, there are poker sites that accept players from Nebraska. In cases like this, you would expect poker sites to exclude players from signing up, like they do to residents from Washington or Maryland. However, Nebraskan residents will be able to sign up to a number of sites including Bovada, Sportsbetting Poker and BetOnline. What other forms of regulated gambling is offered in Nebraska? Nebraskans will be able to wager on horse racing and the state lottery. The tribal casinos offer bingo and a variety of gaming machines, like video poker and slots. Charitable bingo, keno and raffles are allowed, too. Where can I read more about Nebraska poker laws? Here are some interesting facts about poker and gambling in Nebraska. A poll showed that in 2010, over 17% of 6th graders reported gambling for something of value. This increased to 22% for 12th graders. Youth gambling over the internet has grown from 4.1% in 2007 to 13.5% in 2010. The most common forms of gambling amongst Nebraskan youth includes sports betting, poker and games of personal skill. Despite the name, it's believed that Omaha poker did NOT get it's name from Omaha, Nebraska.